The clear and delicate tones obtained when pressing the soft pedal, the speed of hammer return, the speed of trills and the key touch: all of these are typical of a grand piano. 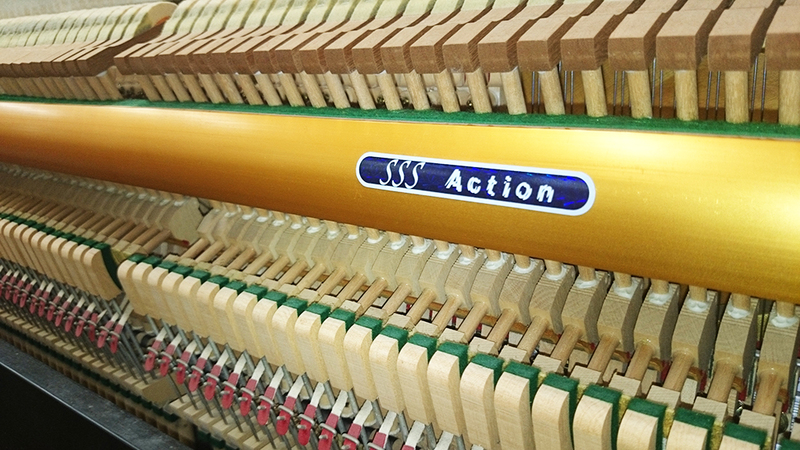 Upright pianos to date have been characterised by a softer note when the string is hit more softly, but the SSS ("Three S") series action is the same as a grand piano’s in that the number of strings hit is reduced: a revolutionary method for uprights that changes not only sound volume, but the tone as well. 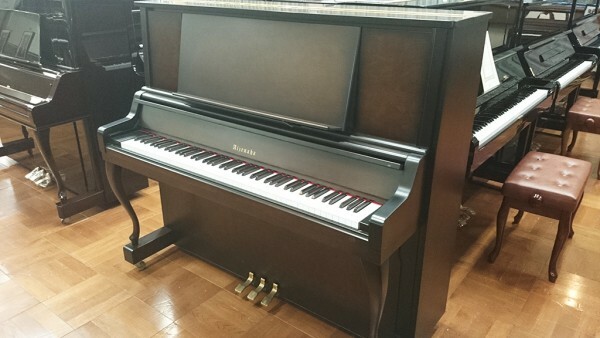 “SSS(Slide Soft System)” An upright piano more like a grand piano than any other in the world. Sound that reverberates in the soul, born of state-of-the-art technology. 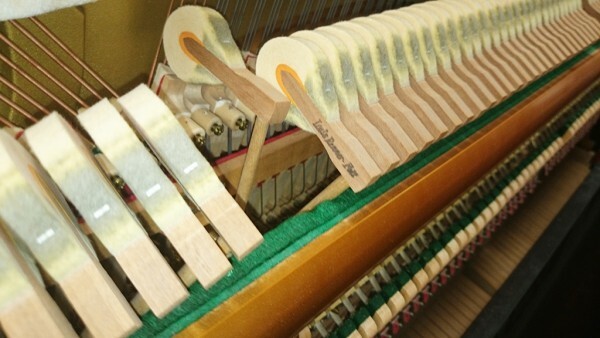 The number of effective string strikes is approximately 1.5 times that of normal upright pianos. This enables performances with a strike speed equal to a grand piano. 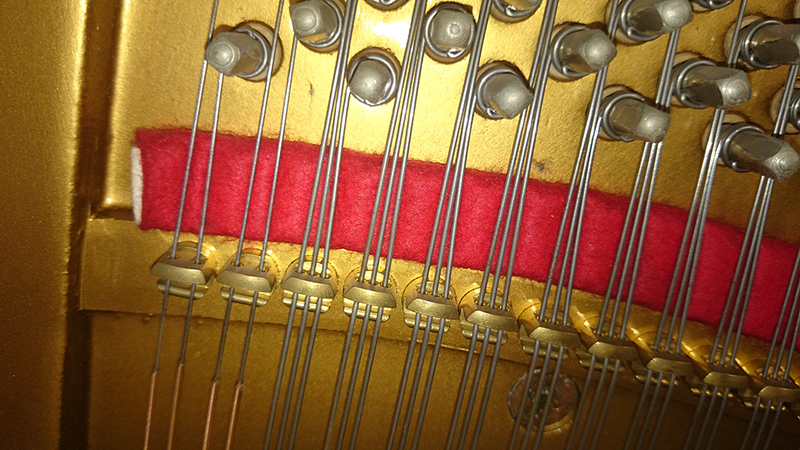 Speed does therefore not change at all when the soft pedal, which halves the number of string strikes on normal pianos, is used. N.B. 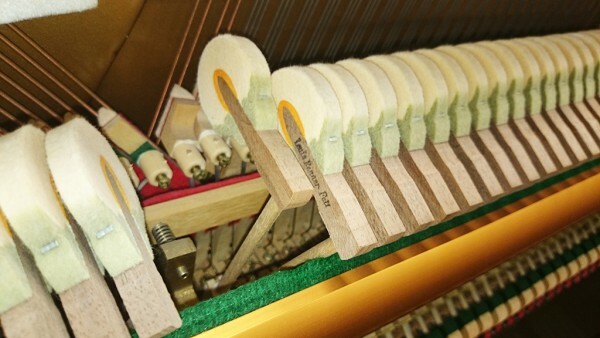 The maximum number of string strikes per second was eleven with conventional SSS Series models, but industrial tests carried out in 2015 on the current model reached a maximum of thirteen string strikes per second, which is the same as for grand pianos. There is no change to the touch when the soft pedal is used. Tone fluctuation is generally considered unavoidable in normal upright pianos owing to their structure, but the SSS Series deftly does away with this problem. Hammers that strike three strings strike two strings, hammers that strike two strings strike one string, and hammers that strike one string strike with the soft edge. This not only reduces the volume, it also enables the timbre to be changed at will.This provides enjoyable performance results that are equal to grand pianos. The results of the questionnaire speak volumes about the charm of the SSS action. 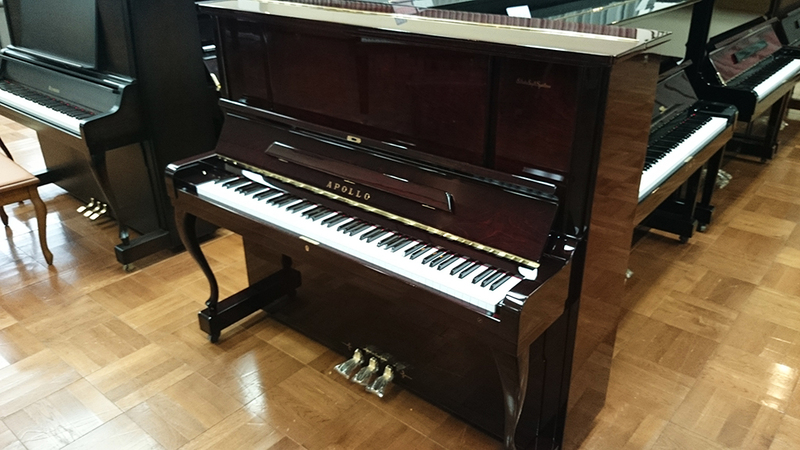 On the other hand, the left-hand pedal on conventional upright pianos is known as the soft pedal, and it shortens the distance the hammers have to travel in order to strike the strings, which changes mainly the volume of the notes. 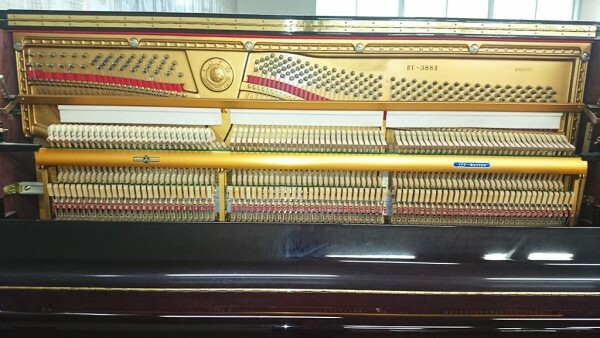 In this way, the structure of grand and upright pianos differs, resulting in different functions. The SSS (Sliding Soft System) Series developed by Toyo Piano has improved the system, sliding the action so that the function of the left-hand pedal on upright pianos is the same as grand pianos. This system has done away with the disadvantages of conventional upright pianos and produced broader power of expression. During the course of this survey, users were asked to play and compare models using the SSS system and conventional models, and their opinions were then gathered. The respondents who cooperated in the questionnaire after test-playing came from a wide range of music universities, music colleges and music schools. I first entered this field in 1957.A friend got me involved with pianos while I was a student. I studied construction at school and was intending to enter that field, but the construction industry was in a severe recession at that time, so I gave up on it. At first, I lived on the second floor of the Toyo Piano office building as an assistant to the technical manager, and I studied piano design techniques during working hours while working under the manager, and after five o’clock I spent nearly every evening studying the assembly, adjustment and tuning of upright pianos and grand pianos. Then in 1962, I joined the Japan Piano Technicians Association (currently the Japan Piano Tuners Association). 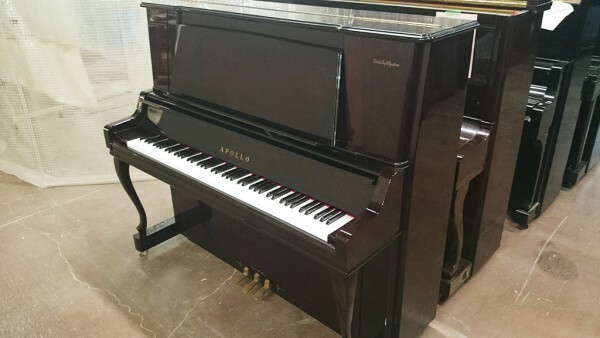 Around 1969, I became fascinated by the actions in grand pianos, and my head was constantly abuzz with the question of how it might be possible to achieve grand piano functionality in an upright piano. 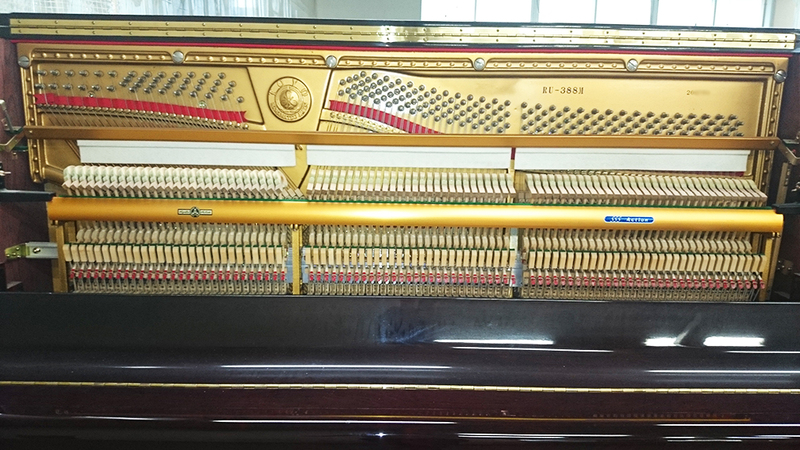 Little change in volume and timbre compared with grand pianos when the soft pedal is pressed. .A momentary lack of resistance (loss of touch) in keyboard touch when the soft pedal is pressed (the degree of key depression), which is a huge disadvantage. Fast trills cannot be played in the same way as with grand pianos. In the hope of solving the above problems, I decided to commit my concepts for covering quality, cost, production and all other issues to the drawing board; but whereas sometimes I was able to draw one line in a split second, other lines refused to take shape even after three, sometimes up to ten, days had passed. I spent the whole of this time going over these concepts in my head. I realised that developing something never seen before involved to a greater or lesser extent this kind of process. In the course of my normal duties, my mind was full of this concept both day and night for about twenty years, from the moment of its birth through to completion, night and day. I worried the problem within my head during recreation, while watching television, when out drinking and whenever I had a spare moment. Having gone through this, I finally solved all the technical problems and completed my concept in 1983. I am fully confident that this shift (soft) mechanism will capture the imagination of upright piano users throughout the world.